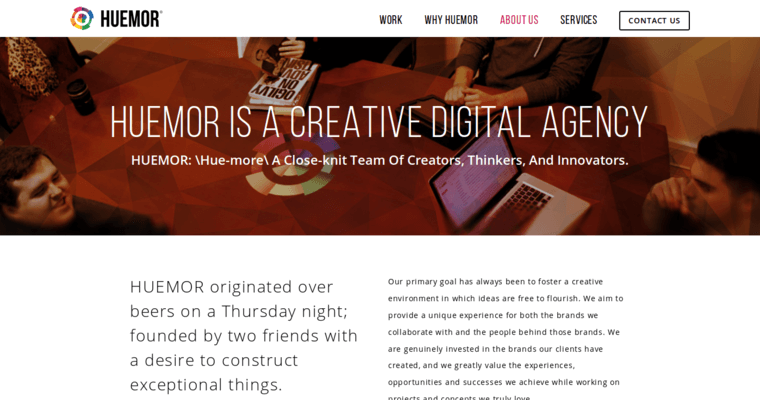 Huemor Designs is a forward-thinking, fast-acting web design firm that puts together extraordinary websites for extraordinary clients. In terms of aesthetics, the company's dynamic team utilizes the most appropriate and effective graphic design tools and techniques to ensure that the client's website is a locus of eye-catching symmetry and order. Additionally, Huemor Designs's tech experts utilize effective responsive web design techniques to optimize cross compatibility such that the client can maximize his or her conversion rates. As business experts, Huemor Designs's professionals know what it takes to increase brand familiarity and brand loyalty, and they utilize all of the proven techniques that make it happen. In understanding that engagement and interaction are the two keys to catching and maintaining the prospective client's attention, Huemor Designs's experts optimize the connectivity of the entire internet marketing campaign to keep the business owner and potential customers in ongoing, substantive dialogue. Choose Huemor Designs and you've chosen the very best that the world of internet marketing has to offer.